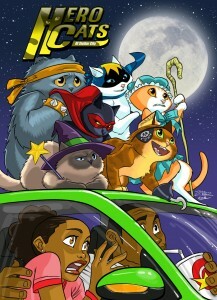 Action Lab Entertainment has a new full-color comic book series for young readers, Hero Cats. “Avengers and Justice League move over! The cutest heroes on the planet have arrived! 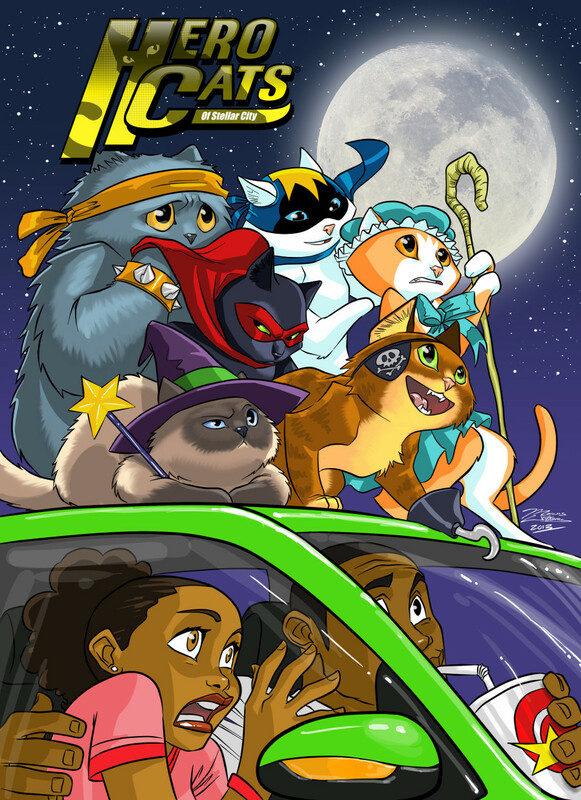 Meet the Hero Cats of Stellar City in this spectacular first issue. Not your ordinary house cats, they’re a tactical action-packed covert team dealing with extraordinary threats to humanity in ways that will amaze.” Two issues out so far, all brought to you by writer Kyle Puttkammer and illustrator Marcus Williams. There’s an official web site of course, showing off several cover variations and tie-in posters available.